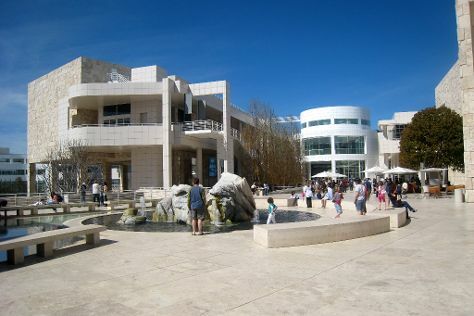 On the 23rd (Thu), take in the waterfront at Santa Monica Pier, then examine the collection at The Getty Center, then appreciate the extensive heritage of Hollywood Walk of Fame, and finally look and learn at Griffith Observatory. Get ready for a full day of sightseeing on the 24th (Fri): make an unforgettable trip to Disneyland Park. For where to stay, more things to do, other places to visit, and other tourist information, read Los Angeles driving holiday app . Gothenburg, Sweden to Los Angeles is an approximately 15.5-hour flight. You can also do a combination of train and flight. The time zone difference moving from Central European Time (CET) to Pacific Standard Time (PST) is minus 9 hours. Prepare for a bit warmer weather when traveling from Gothenburg in May: high temperatures in Los Angeles hover around 28°C and lows are around 17°C. Cap off your sightseeing on the 24th (Fri) early enough to go by car to Grand Canyon National Park. 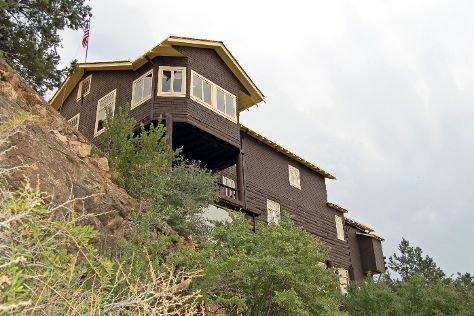 On the 25th (Sat), take in breathtaking views at Yavapai Point, delve into the distant past at Tusayan Museum, then take in breathtaking views at Grand Canyon South Rim, and finally examine the collection at Kolb Studio. To see maps, traveler tips, and other tourist information, go to the Grand Canyon National Park travel planner. You can drive from Los Angeles to Grand Canyon National Park in 7.5 hours. Other options are to do a combination of flight and bus; or do a combination of flight and shuttle. Due to the time zone difference, you'll lose 1 hour traveling from Los Angeles to Grand Canyon National Park. While traveling from Los Angeles, expect little chillier days and cooler nights in Grand Canyon National Park, ranging from highs of 23°C to lows of 0°C. Finish your sightseeing early on the 25th (Sat) so you can drive to Bryce Canyon National Park. On the 26th (Sun), trot along with a tour on horseback, then get great views at Inspiration Point, and then hike along Navajo/Queens Garden Loop. Start your trip to Bryce Canyon National Park by creating a personalized itinerary on Inspirock. Traveling by car from Grand Canyon National Park to Bryce Canyon National Park takes 5.5 hours. Expect slightly colder weather when traveling from Grand Canyon National Park in May: highs in Bryce Canyon National Park hover around 20°C, while lows dip to 0°C. You will have some time to spend on the 27th (Mon) before leaving for Yosemite National Park. Start off your visit on the 28th (Tue): take an in-depth tour of Parsons Memorial and then explore the striking landscape at Glacier Point. For more things to do, reviews, maps, and tourist information, use the Yosemite National Park tour planner. You can do a combination of car, bus, and flight from Bryce Canyon National Park to Yosemite National Park in 13 hours. The time zone difference moving from Mountain Standard Time (MST) to Pacific Standard Time (PST) is minus 1 hour. 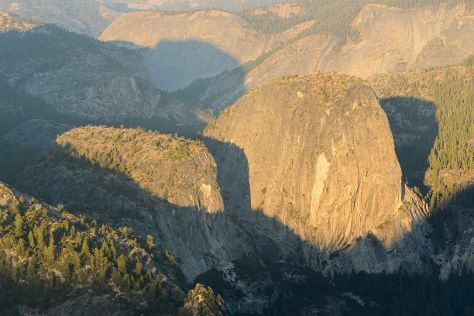 May in Yosemite National Park sees daily highs of 21°C and lows of 1°C at night. Wrap up your sightseeing on the 28th (Tue) to allow time to drive to San Francisco. On the 29th (Wed), see the interesting displays at Cable Car Museum, then see the interesting displays at Exploratorium, and then explore the striking landscape of Alcatraz Island. On the 30th (Thu), you'll have a packed day of sightseeing: take in the views from Golden Gate Bridge, learn about all things military at USS Pampanito, then see the interesting displays at Musee Mecanique, then contemplate the long history of SS Jeremiah O'Brien, and finally admire the masterpieces at Asian Art Museum. To find more things to do, photos, maps, and tourist information, use the San Francisco online attractions planner . Traveling by car from Yosemite National Park to San Francisco takes 4 hours. Alternatively, you can do a combination of car and flight; or do a combination of bus and flight. Plan for a bit warmer nights when traveling from Yosemite National Park in May since evenings lows in San Francisco dip to 13°C. Finish your sightseeing early on the 30th (Thu) to allow enough time to travel to Santa Barbara. On the 31st (Fri), take an in-depth tour of Santa Barbara Historical Museum, admire the masterpieces at Santa Barbara Museum of Art, steep yourself in history at Old Mission Santa Barbara, then observe the fascinating underwater world at Santa Barbara Museum of Natural History Sea Center, and finally take a stroll through State Street Underpass. To find more things to do, traveler tips, reviews, and tourist information, read our Santa Barbara trip planner . Fly from San Francisco to Santa Barbara in 4.5 hours. Alternatively, you can drive; or do a combination of flight and train. In May in Santa Barbara, expect temperatures between 25°C during the day and 13°C at night. Wrap up your sightseeing on the 31st (Fri) to allow time to travel back home.